specific password to operate the account with Airmail as explained below. 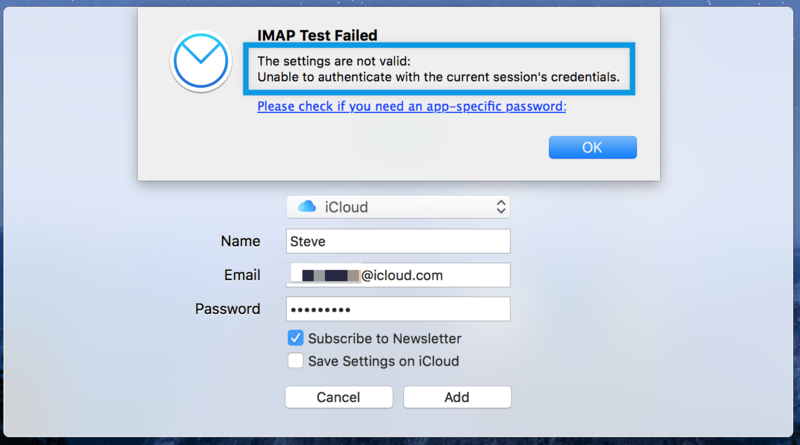 using your regular password you will get the following error. 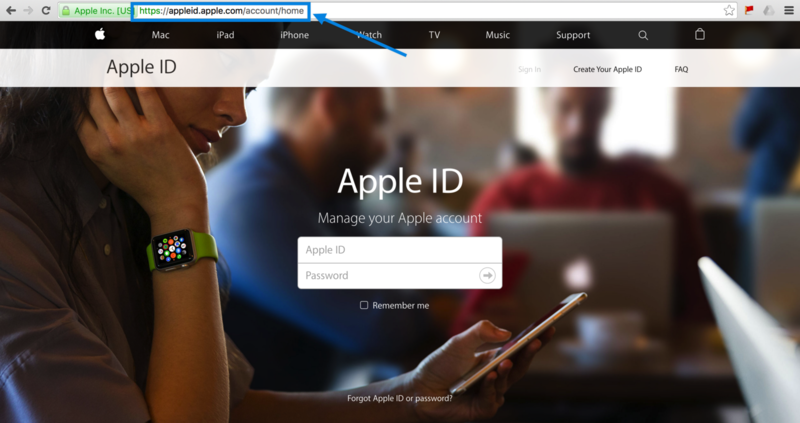 Please see this picture below and sign in the Apple ID page. 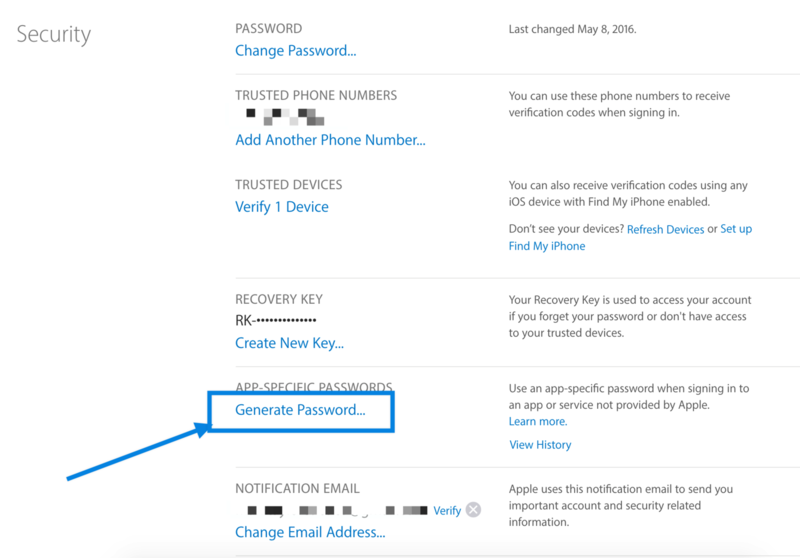 Paste the generated password as shown in the picture below. 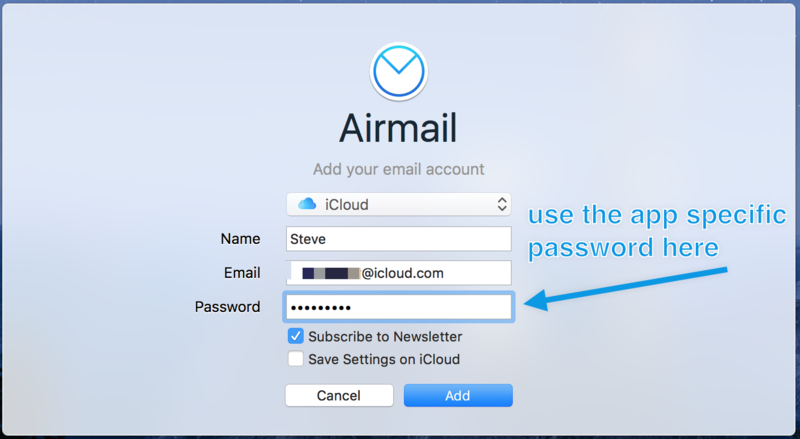 This will get you started with your iCloud email account in Airmail. 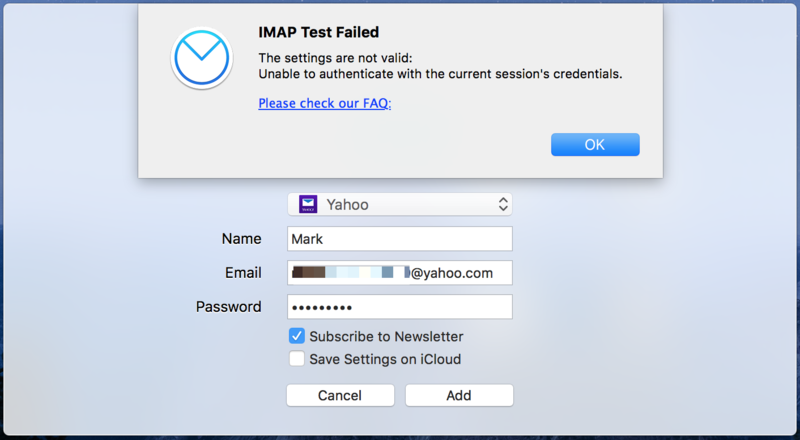 using your regular password, you will get the following error. 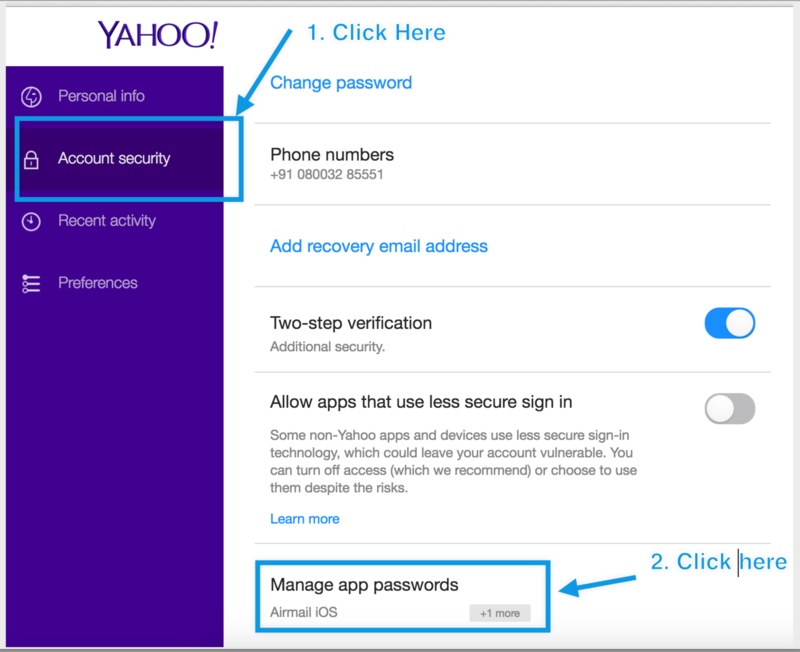 Then choose "Manage App Passwords" as shown in the picture below. 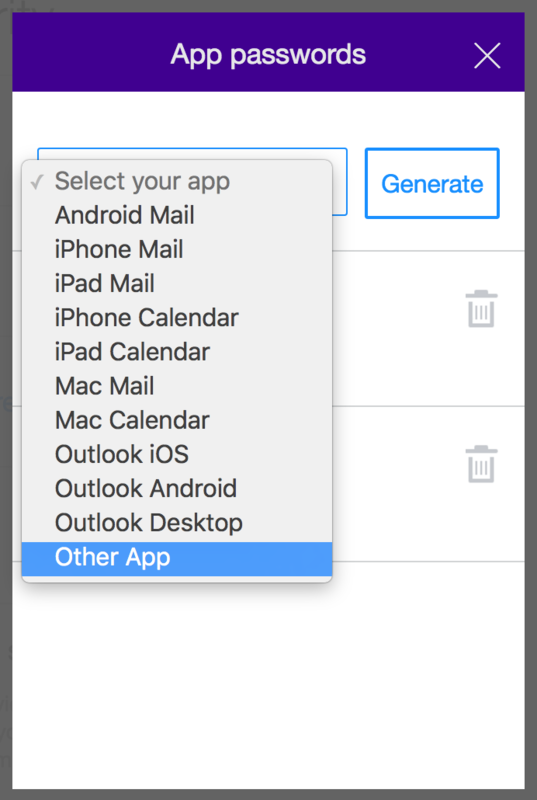 for the app as shown below and click on "Generate". Copy thus generated password and use it as shown in the picture below. 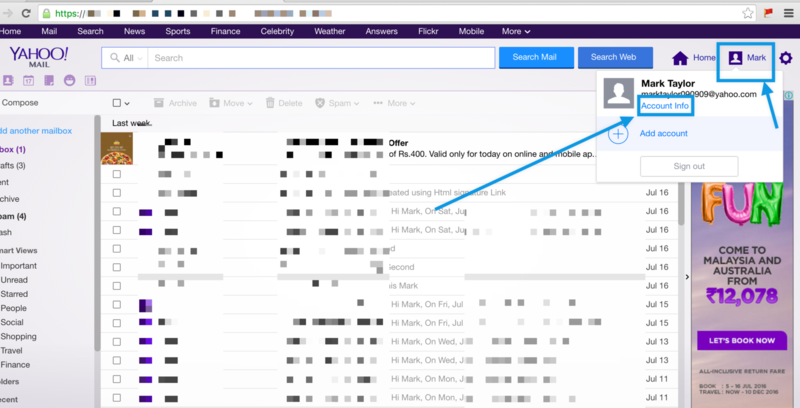 These steps will allow you to use your Yahoo Mail account with Airmail.